When it comes to Law of Attraction (LOA) and manifesting a good relationship, the first thing that most people will think about is their lovers and their family members, not many people will actually think about building and manifesting a great relationship with their neighbors. There is a saying, “You can pick your friends, but you cannot pick your neighbors.” You simply cannot choose or decide who is going to live next to you, unless you buy the house. You will be lucky if you have good neighbors. However, this is not always the case. Some neighbors are not pleasant and can make your life miserable at times. Neighbors play an important part in our community and our lives, and remember, you are a neighbor to someone else too. By definition, a neighbor is someone who lives close to you. In this modern world, the neighbor is probably someone who stays in the next apartment unit, but for those who live in the rural areas, their neighbor may live further away in the same area. Everyone wants to live in a good neighborhood with good neighbors who are considerate, helpful, and who respect your space and privacy too. A good neighbor may greet you in the morning, buy drinks for your children, talk to you and invite you to their children’s birthday party. The problem in today’s world is that most people are so busy with their work and their personal lives, and this has caused serious problems in building a good relationship with their neighbors. Fortunately, the Law of Attraction is there to help. We can manifest and attract awesome and generous neighbors into our community. Even if you think you have a bad neighbor, worry not, after you implement the Law of Attraction, you will see changes, regardless of whether it is with you or with your neighbor, things will change for the better. However, before we learn how to use the Law of Attraction to attract good neighbors that we want, we must first understand why neighbors are important. When something is important to you, you will value it you more and you will dedicate more time to protect it and grow it. Take money, for example, if you think that money is not important, the Universe will not grant you more. If you think that your job is unimportant, would you do better in your job? The answer is a resounding no. This is why you must understand the importance of money if you want to have more of it. And this also explains why you have to know the importance of your neighbors before you can manifest the good ones to you. There are many benefits of having great neighbors by your side. Just like having good friends, good neighbors can become your good friends too. Most people have neglected the importance of having good neighbors, and this is why they cannot seem to attract good people to live close to them. Here are some reasons why neighbors are important. Your neighbors can be the best help and support you can get when you needed the most. And this topic is huge. Think about it, if your relatives, friends or other family members live far away, who are you going to get help from when there is an emergency? What if you fall and break your leg and you needed someone for help? Your neighbors will be the nearest to you and they can be your best help. Good neighbors are often very supportive of each other’s family needs, especially where the kids are concerned. If you are busy to send your kids to the school, perhaps, your neighbors can help because they have kids studying in the same school too. Besides that, the old adage, “borrow a cup of sugar” holds true once you meet good neighbors. Things can become easier when you have someone next door to help you with your problems. When you run out of sugar and you need to use it for cooking, just borrow it from your neighbor next door. With great neighbors staying close to you, you can get all the help and support you need. Do you feel safe living in the community? When you know the people who are staying around you, you will safer at night when you get to bed. A good neighborhood will give you a peaceful living too. You will never have to worry about your kids running in the yard because you know your neighbors can help keep an eye on them. When you are away from home for vacation, your neighbor can temporary safeguard your property for you too. Plus, in some neighborhood, they even set up a watch program to maintain and keep the community safe. This type of program has been proven to reduce the crime rate and boost the safety level in the area. Another importance of having a good neighborhood is that it allows you to expand your social circle. Imagine living in a community where the neighbors are from all walks of life. You will get the chance to know different people from different industry. This can be a big networking opportunity to meet and to know your neighbors. Furthermore, some neighbors thrive on over-the-fence conversation each day. This can be a good practice depending on the topic of the conversation. When you needed an ear, someone is there to hear you out. It is important to have a fun time together. You cannot live alone all by yourself in this world. You need someone to share your happiness and joy. Imagine if you have just been promoted in your company, you are happy, but what will happen if you have no one to share your happiness? Your neighbors can be your great friends to share your fun time together. This is especially true if you and your neighbor have children. They will get along and play together. As human beings, if you want to live a good life, you need to have fun and to share your joy with someone else. When you know who is staying in your community and you are close with them, it is easy to call for gatherings for a party such as a birthday celebration. More importantly, you can create awareness among the community when you are close to the people living there. If a family needs help, an event or a meeting can be held to ask for help. This is a very good way to contribute and help those who are in need. Now that you understand the importance of having a good neighbor living next to you, it is time for you to learn how to use the Law of Attraction to manifest and bring these great neighbors to your community. If you read the famous book or watch the movie with the same title, “The Secret”, you will understand that in order to make the Law of Attraction works, it consists of three steps. The first step is to ask. The second step is to believe in it and the third step is to receive it from the Universe. Let us go through each of these steps and discover what you can do to manifest great neighbors into your community. Raising your vibration before doing anything will add energy to your manifestation. The more consistent you vibrate as already having good neighbors, the more you will attract them to you. According to science, everything in this world is energy. The food you eat, your body, your computer, and even your thoughts are energy. And the Law of Attraction states that in order to attract and manifest what you want, you must project your energy vibration at the same frequency with the things that you want. In a nutshell, you must focus on feeling as if you already have good neighbors staying next door. You must act as if you are already living the desire that you want. So start by visualizing having the perfect community and having good neighbors staying next to you. See the picture vividly in your mind. More importantly, feel the feelings. Imagination alone is not as powerful as feeling the emotions. Remember that everything is energy? So when you feel the emotions of having a good neighbor and you are feeling blessed, you are transmitting the energy to the Universe, telling the Universe what you want to attract. The more feelings you put into your visualization, the faster and more effective the attraction can be. The next thing you can do to improve the attraction is through writing. Studies have shown that people who write down things that they want are more likely to accomplish them because writing shows a higher level of commitment. Would you bother writing down something that is not important to you or something you do not want? The key is that you will write down things that are important and meaningful to you. When you put it down onto papers, it shows that you are committed to it and it is important to you. Therefore, write down the perfect neighbors you want. The best-selling book, “Write It Down, Make It Happen”, author Henriette Klauser suggest people write down whatever they want on papers. It is like keeping a journal. You can write it in any way you want, but the best way is to write it as if you are talking to a higher power, informing your request. So what type of neighbor do you want? A family with children? A couple? Do you want your neighbor to have pet dogs? What are their professions and what do you like about them? Put these details down into papers and trust that the Universe will fulfill your request. Now that you have written down all the details including your feelings toward your neighbors. The next thing you can do is to express your feelings and appreciation within you. As what you have already known, the Law of Attraction works best when you feel the emotions. Thus, in this step, you have to feel the emotions and make it real. Look at the things that you have written down, how would you feel if you already have those good neighbors in your life? How can you feel those things in your life right now? How can you feel cherished, loved, respected, and blessed? You have to live your life as if those feelings were already true. Besides that, try to be consistent with your feelings. Most people fail to make the Law of Attraction works because they are inconsistent with their feelings. They may feel good today, but the next day, they feel lousy and do not believe that it will work. When this happens, you are sending a confusing message to the Universe. And this is why the Universe cannot realize what you want because you are unsure yourself. Up to this point, what you have done is to ask from the Universe. When you visualize and write down the perfect neighbors you want in your community, you are fulfilling the asking part. Now comes the second part, which is to believe in it. You must be open and allow the Universe to manifest in whatever way the Universe chooses. Do not place limitations, such as thinking that your neighbors are actually your best friends from your childhood or your next door neighbor works as a lawyer, and so on. Just be open and believe that the Universe will do its work. Most of the time, the Law of Attraction will bring you the result you want in an unexpected way. You will never understand how the Universe work, and you don’t have to. Just like electricity, you do not need to understand how it works, but you just believe that it is there and when you plug in your phone charger, switch the button on, the electricity flows and charges your phone. Another important step that most people miss out in manifesting what they want is that they forget about removing the blockages that stop them from attracting what they want. The more you think that it is not going to happen, or you can’t find the right neighbor, or you worry about who is staying next door, the more blocks you put up to the manifestation. You must choose to believe and proceed without worry. You have to act as if you are so happy and blessed that you have such a good neighbor staying next to you. When you are too concern or worry about something, you are sending disbelief thoughts to the Universe. When you worry about money, you will have not enough money. Think about it, do rich people worry about having not enough money? What about food? Do you worry about having not enough food? If you do not worry about it, you will have plenty of it. Now, what about oxygen and the air that you breathe in every second? You do not worry about having not enough air in this world, do you? This is why air is abundant and everywhere. You have to remove and take away the worries if you want to live in abundance. Abundance and scarcity live in the totally opposite dimension. When you live in abundance, you will never worry about it. When you worry about it, you will never live in abundance. Hence, choose to live in abundance. Adopt the abundance mindset and throw away the scarcity thinking. Remove the blockages that are stopping you and you can manifest great neighbors into your life. After you have removed all the blockages that are stopping you, you need to be grateful and appreciate your existing neighbors. Perhaps, you move into a new neighborhood, but you are unsure of whom your neighbors are and how they can become the neighbors you desire. What you need to do then is to be grateful that they are already there. They are already staying close to you and feel the appreciation from whatever they do. Even if it is just a small act of kindness, appreciate it. When your neighbor greets you in the morning, be grateful for it and respond accordingly. When your neighbor come over and talk to you, appreciate his or her effort and feel grateful. Research has shown that being grateful is one of the most powerful feelings in this world that anyone can practice to create peace and abundance in their minds. When you are grateful for what you want, you will feel the abundance. Therefore, if you want to feel abundance and live in abundance, you must be grateful for whatever you have in life. And in this case, you must be grateful for whatever your neighbors have done to you. Find the good in them and appreciate them for being part of the community. Finally, to complete the Law of Attraction, you must be willing to receive and take action to make the manifestation works. Many people think that the Law of Attraction is just about visualizing what they want and then sit around and wait for things to happen. This is not the right way because “waiting” for things to happen simply means that you do not believe in it. Think about it, if you truly believe that whatever business you venture into will succeed, will you take action and jump into the opportunity? Of course, you will because you cannot fail and you will definitely succeed in it. If you truly believe that you can win the lottery, would you buy the tickets? The answer is yes. Thus, taking action means that you truly believe in it and you are willing to receive the results from the Universe. If you are not willing to act and to put in the effort, the Universe will never manifest your desire because your action says otherwise. Law of Attraction is not just about thinking and believing, you have to work at it as well. If you think about it, believe it, but your action shows otherwise and is not in alignment, the attraction will not work. So be ready to take action to build and grow the relationship with your neighbors. You can be proactive and ask or invite your neighbor next door for dinner tonight. Here are some ideas of what you can do to grow the relationship. 1. Host a party. Take the chance if you or your family members have birthdays, throw in a party and be the host. Invite your neighbors from around the community and build the relationship. It can be fun and at the same, you can get to know who is living around you. You do not have to throw in a party if you do not want to. Simply invite your next door for a dinner can also work out great in helping you get to know your neighbor. 3. Offer your help. When you see your neighbors need help, offer without wishing for anything in return. You are doing the good deed and planting the seed. Someday, when you need help, your neighbors will return the favor. Helping your neighbors can come in many forms. For instance, you can help water the plants when your neighbors off for vacation. Or perhaps you can fetch your neighbors’ children to school if it is convenient to you. 4. Respect their privacy. This is extremely important because you do not want others to invade your privacy and personal space, and so you should not do the same to others too. Respect your neighbors’ privacy. Try not to go into their house without asking. And when it is late at night, lower the volume of your music and movie. The same goes if you have pets. Never let your dog runs wild and causes disturbance to your neighbors. 5. Remember their names. Study has proven that people who can remember the names of others tend to be able to build better rapport and gain better trust. You need to know the people who are living in your neighborhood, right? So make the effort to remember their names. And when you meet them, you will leave a better impression and win more friends. There are many ways how you can build a good relationship with your neighbors. Just remember the Golden Rule of Life that states the principle of treating others as one would wish to be treated. If you want your neighbors to treat you well and be good to you, you must do the same and treat them well. Never abuse the relationship that you have with your neighbors. The Law of Attraction works and it is as real as the Law of Gravity. You cannot see the gravity, but you can feel it and it is there all the time. If you do not believe that gravity exists, just throw a stone upwards and you will see it falls down to earth. This is the gravity at works. As for the Law of Attraction, it is there all the time too. And if you want it to work, you must work on it first. Follow the steps and suggestions mentioned above and apply the techniques to manifest the generous neighbors into your life. Remember the three main steps of making the manifestation works for you. First, ask the Universe for it. And then choose to believe in it, and finally, be willing to receive and take action for it. Get FREE Work-at-Home Job Leads Delivered Weekly! Join more than 50,000 subscribers receiving regular updates! 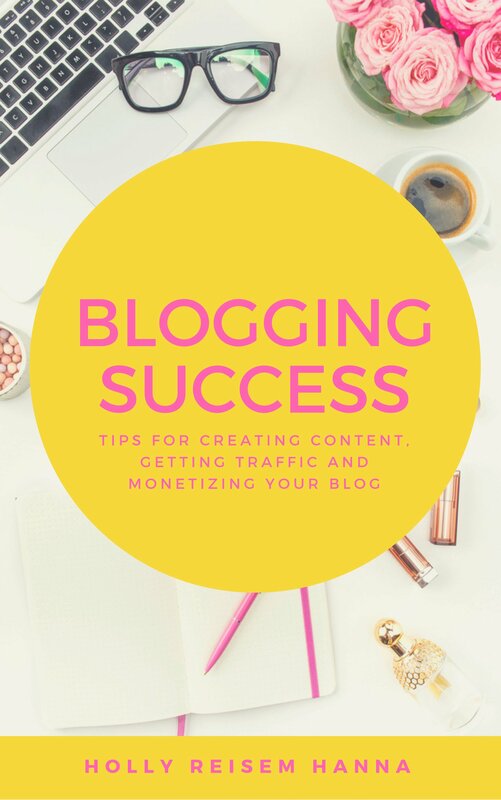 Plus, get a FREE copy of How to Make Money Blogging!